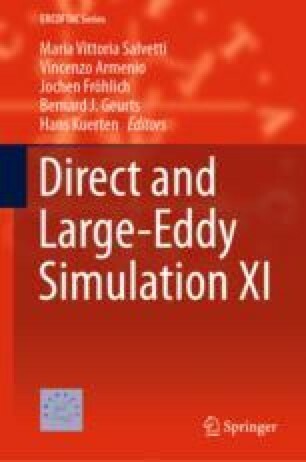 Over the years, attention has been drawn to Computational Fluid Dynamics (CFD) as a necessary tool to get a better understanding of Fluidized Bed Reactors (FBR) dynamics and to avoid time-consuming and costly experiments on pilot-scale reactors. In industry, FBR typically consists of ten up to a few tens meter high cylinders also containing more complex parts and gathering several hundred billion particles (see Van Der Hoef et al, Adv Chem Eng J 31:65–149, 2006,  for a complete review on FBR modeling). In such complex geometries, unstructured meshes are easier to build and locally refine, but often shunned because of the extra coding effort required. Moreover, the employ of thousands of processors is often essential to ensure sufficient memory and performance of the code.